A classic among classics, this multi-floral miniature produces multitudes of charming pink flowers on compact branching spikes ! 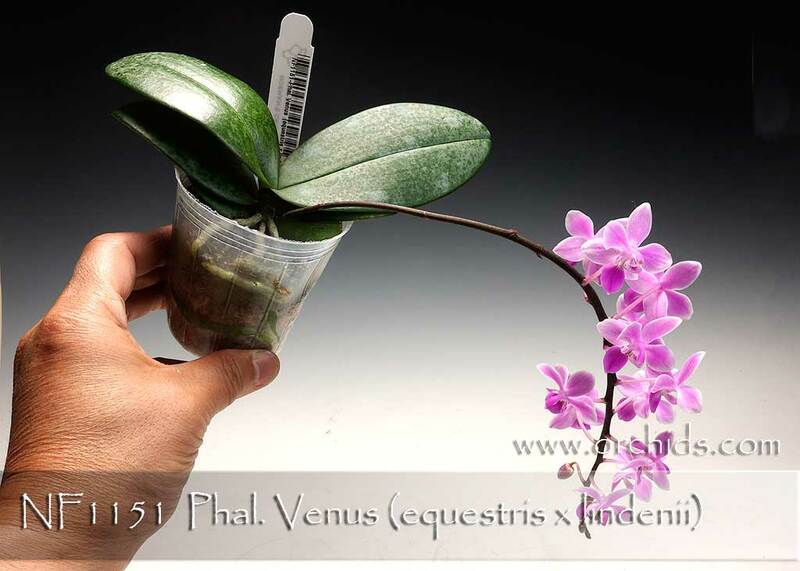 This remake combines two select parents of the species Phal. equestris and Phal. lindenii, with its adorable pink flowers cascading gently over compact leaves. This little wonder has produced plants carrying either the mottled leaves of its Phal. lindenii parent or the traditional green leaves from its Phal. equestris parentage. A great mini, perfect for space-challenged or under-lights collections. Highly Recommended !